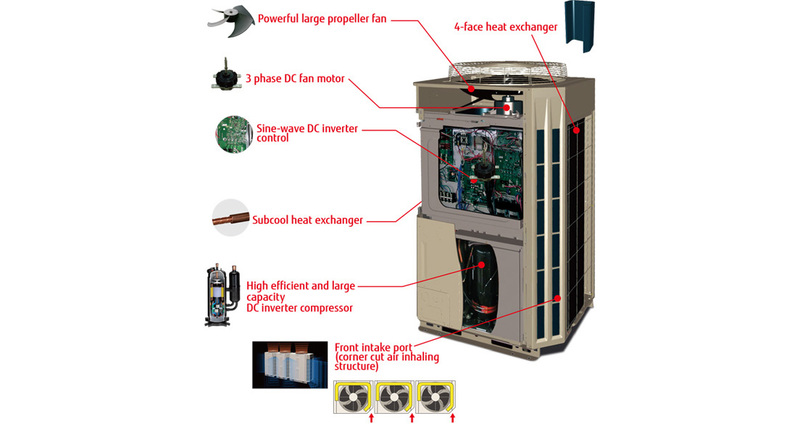 Heat pump inverter type realises the highly energy saving air conditioning for individual cooling and heating operation by all inverter technology for seasonal efficiency. 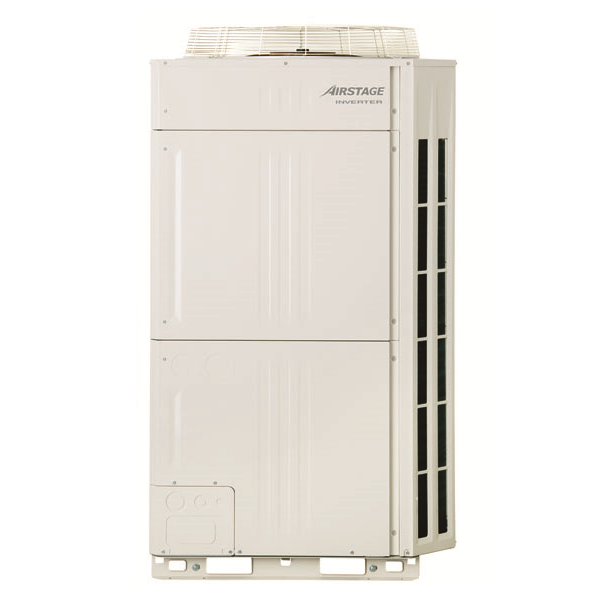 High design flexibly meets the various needs of high-rise building air conditioning such as outdoor unit roof top concentrated installation and each floor installation by large capacity combination, sufficient connection capacity, and high static pressure design. The flexible communication method and piping connections makes installation and maintenance easy even for large systems. Top class high COP is achieved for all combinations by our unique heat exchanger structure, high efficient DC twin compressor, and our own technologies. Efficiency is substantially improved by high efficient motor with sophisticated driver control. In addition, low noise is realised by DC fan motor. 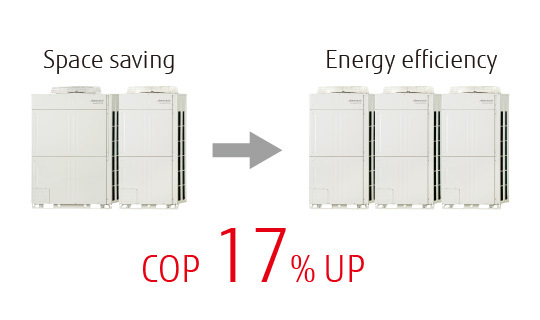 High efficiency is realised by adoption of reduced switching loss IPM.